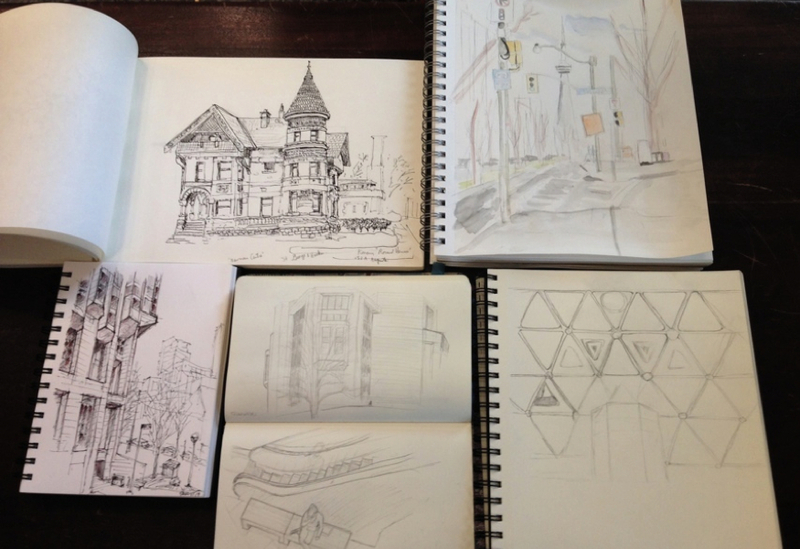 We had a great sketching event at the Robarts Library this weekend. It was my first time seeing this fascinating building up close. 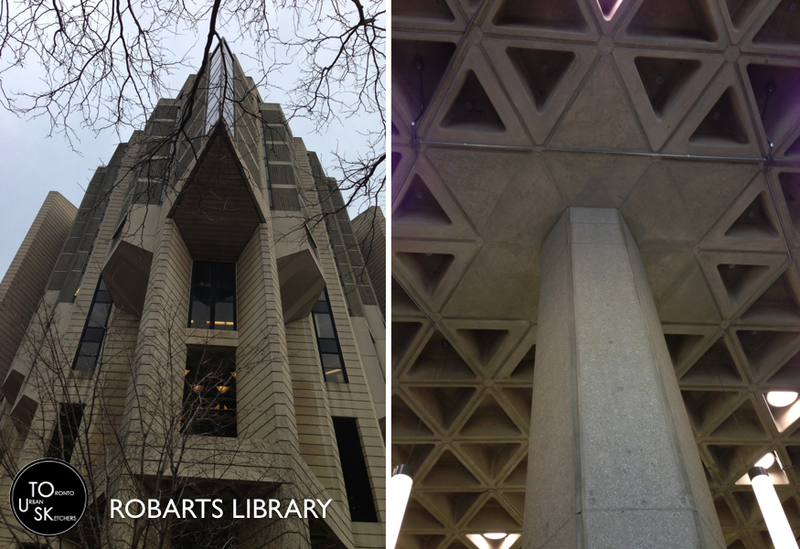 Built between 1968 and 1973, this brutalist style architecture has a lot of interesting angles and geometrical details to sketch. There was a lot of students studying in the building, so there weren't a lot of available seats nears the windows, but I managed to find a chair overlooking and interesting portion of the library. I really like the perspective between the shelves. Unfortunately my spot was near a cold vent, so I had to leave after a little while and completed the colouring at home. The 3rd floor gives a great birds eye view of the main entrance on the second floor. The ceilings are really high and give a grand look to the place. Most students were fixated on their laptop. I'm sure it must be quite a change compared to how things used to be when the library first open in the early 70s. 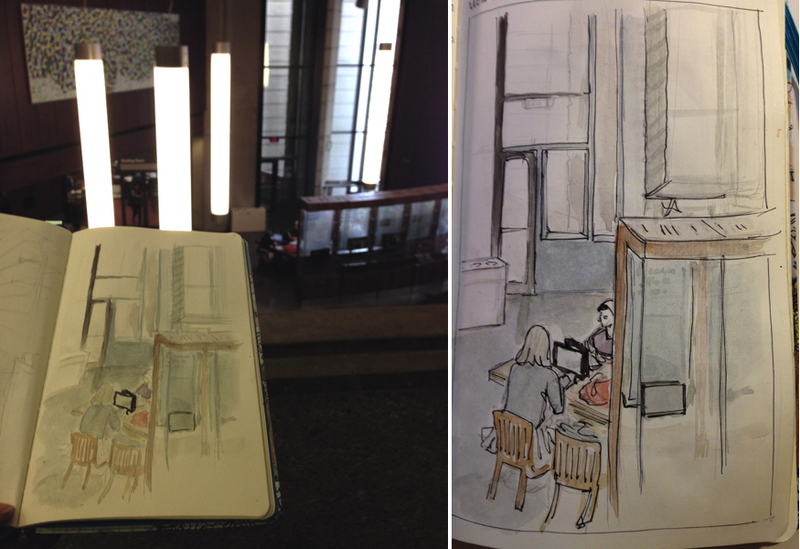 I ventured outside for a little bit to sketch a portion of the building since the weather a little warmer. 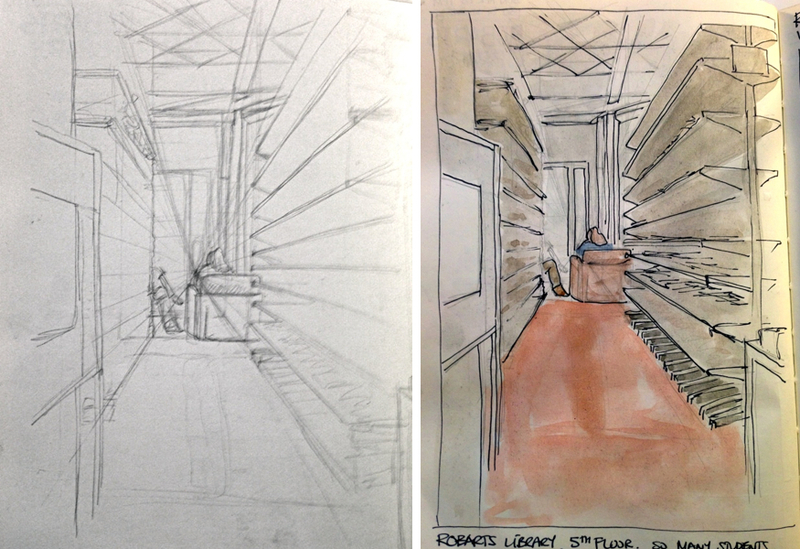 Not warm enough to spend hours sketching details, but enough to get an idea of the building's architecture. I'll have to come back on a warmer day to try various viewpoints. 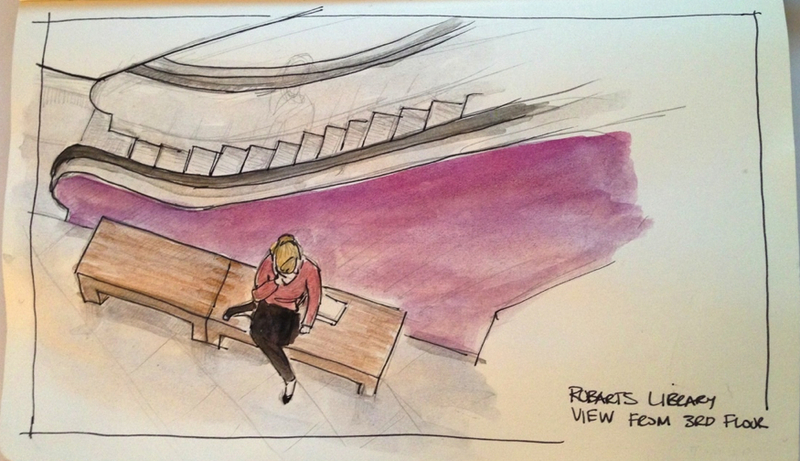 It was really fun to sketch all these angles. 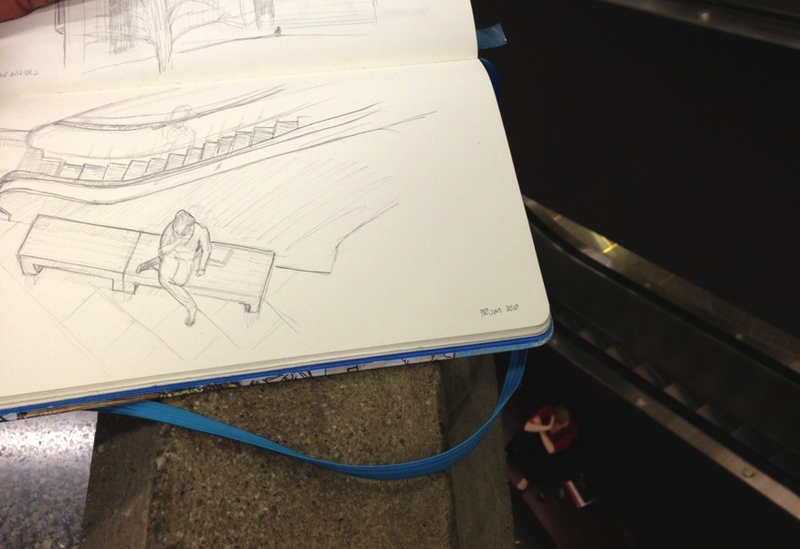 Back inside, I sketched this student talking on the phone near the escalators from a floor above. 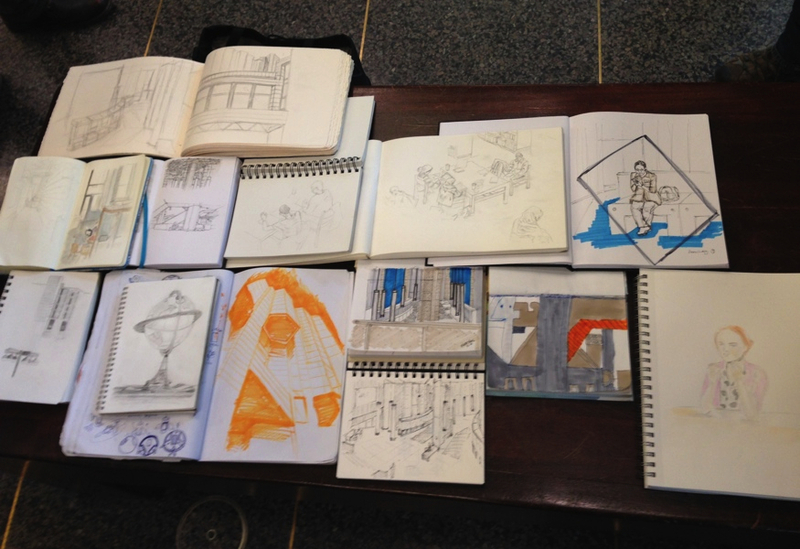 It was a great opportunity to practice a birds eye view perspectives.